May 14, 2018 – Connection! “…if my people, who are called by my name, will humble themselves and pray and seek my face and turn from their wicked ways, then will I hear from heaven and will forgive their sin and will heal their land” (2 Chronicles 7:14). The purpose of prayer is not the applause of men. 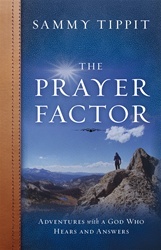 The purpose of prayer is intimacy with the Father. Men and women who have made the greatest impact on the world for the glory of God have had an intimate, private relationship with the Father. They have discovered that the power of public ministry comes from the private chambers of prayer. There is no room for backslapping, ego building, or reputation seeking in the private closet. There is only room for a heart that eagerly pursues God. A study of the men of God of past centuries clearly displays this principle. It has been said of Hudson Taylor that the sun did not rise in China without finding Taylor in his private place of prayer. Taylor founded the China Inland Mission and was mightily used of God to impact that country for Christ. A.W. Tozer pastored a church in Chicago for many years. One time after a minister arrived in Chicago, Tozer called him and said, “This city is a devil’s den. It is a very difficult place to minister the Word of God, and you will come up against much opposition from the enemy. If you ever want to pray with me, I’m at the lakeside every morning at five-thirty. Just make your way down and we can pray together.” One day the minister was troubled and about six o’clock he went to the lakeside. He found A. W. Tozer prostrate in the sand worshiping God. Tozer was a prophetic voice to the church of the twentieth century, and his message grew out of private intimacy with God. Lord Jesus, You live to intercede for me and I go about my daily life completely oblivious to this fact! May I walk in humility as people like Tozer and Taylor, so that my life will become a fragrant offering to You. I desire the kind of intimacy these men had with You instead of the usually rushed chatter of my disjointed prayer life. Teach me how to spend unhurried time in Your presence so that whatever I do for You is birthed from Your purposes instead of my own desires.